The Ms Sassy Cat Pillow Pets are one of the cutest of the Pillow Pets plush toys – although they are all cute, but the sassy cat has a most contented and dreamy look on her face. 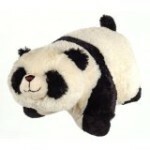 In black and white chenille fabric, this Pillow Pets cat is a huggable bundle of joy for small kids everywhere. Sassy Cat Pillow Pet is one of the original My Pillow Pets that was created in the beginning when there were only a handful of plush My Pillow Pets toys in the product range. Made from plush, soft black fabric, Ms. Sassy Cat Pillow Pet comes in both large and small sizes, so you can buy your children a mini ms sassy cat pillow pet which is 11 inches in size or go for the large Sassy Cat which is 18 inches. Sassy Cat is so comfortable to rest your head on, whist napping or camping or sleeping on an airplane, that most times it seems many people use these toys as pillows instead of as playtime companions! My Pillow Pets toys are made of such high quality soft fabric and are long lasting toys too (add to this the fact that they can be machine washed for convenience) and you have an ideal and functional plush toy and a pillow. These toys are fast becoming a perfect “go-to” gift for aunts, uncles, grandparents and family friends to buy for children. When you don’t know quite what to buy a child – you can’t go wrong if you buy them a pillow pet toy. 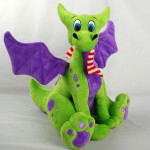 With so many different Pillow Pets toys to choose from, you will definitely find something for every child. As always, make sure you buy the genuine Pillow Pets toys that are made by the manufacturers of My Pillow Pets and do not settle for inferior or cheaper alternatives. Often these are easy to spot; their fabric won’t be as soft as the real Pillow Pets and they probably won’t be as fully stuffed either. Genuine Pillow Pets come in two sizes, 11″ and 18″. Not all of the animals will be available in both of the sizes. It is recommended to buy the larger sized Pillow Pets if your child is going to be using their My Pillow Pets toy as a Pillow. A larger pet will allow for a bigger sized and more comfortable pillow. Also remember that if your child becomes particularly smitten with their new plush toy (and be warned, Pillow Pets have this effect on small kids!) it is highly likely that your kids will be dragging their Pillow Pet around with them wherever they go. This means their once clean Pillow Pet will have been put through its paces in the garden, the park, wherever there are puddles, be covered in food crumbs and a few scratches and scrapes here and there. 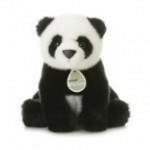 These plush toys have gained in popularity so much during the past few years that the demand for these toys has been almost insatiable, although the manufacturers have been busy and have created new Pillow Pets toys every year to add to their already growing product base. You can also buy My Pillow Pets blankets and My Pillow Pets hats too. Thank goodness that you can clean these toys very easily by putting them in the washing machine on a gentle wash but they should never be put into the drier! Better to put the newly washed toy out to dry and you will find that its soft and furry fabric will be as good as new. In fact, many parents report that their Pillow Pets are quite durable and come out well after many washes. In any case, whilst My Pillow Pets can be more pricier than other plush pets, their durability and softness and ease with which they can be cleaned, make them, in the long run, good value for money.